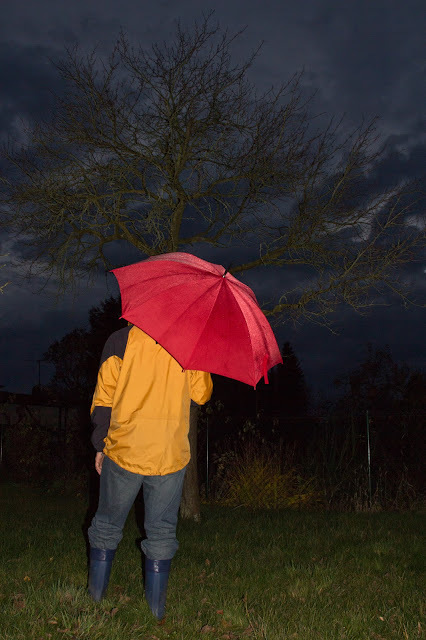 I was working on the topic "rain" lately for my regular photo competition. My only problem was that as soon as I get a topic like this the situation never arises. Therefore we got a nicely dry late fall. I did try to fake the situation for the contest and I did hand in a photo with lots of water splashing - by filling up a puddle by hand. This was the photo I entered into the contest. I did try different scenarios, though. This is an unused WIP from this contest.